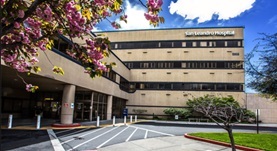 Dr. Hani Sharkey is a radiology specialist in San Leandro, California and he works at VA Palo Alto Hospital. He got his diploma from the Louisiana State University School of Medicine in New Orleans and did his residency in Radiology at New York Medical College. Dr. Hani Sharkey also completed a fellowship in Abdominal Radiology at Thomas Jefferson University. The doctor is certified in Diagnostic Radiology and has an experience of more than 20 years.